This award recognizes an Academy member who has demonstrated outstanding mentorship by dedicating time, knowledge, and energy for the purposes of guiding, nurturing, and supporting mentees. The focus of this award is on activities that enhance the mentees' research skills, products, and careers (both academic and professional). Applicants must show strong evidence of outstanding mentorship to enhance the professional development of students, junior faculty, and/or professionals in the field. While teaching is a valued part of our profession, this award recognizes mentorship activities outside classroom pedagogy. Thus, we encourage applicants to highlight mentorship activities related to research and scholarship. It is emphasized that this is NOT a teaching award. i. Describe the type and quality of the people/organizations mentored. ii. Describe the types of mentoring activities in which you have engaged. iii. Describe what drives you to be a mentor. iv. 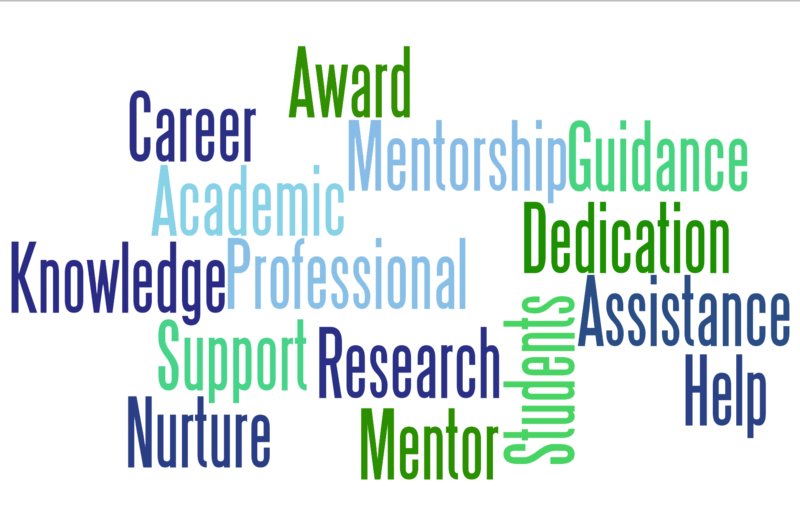 Describe how your mentorship activities have impacted your field. v. Describe how your mentorship activities have impacted your career. vii. Describe your most influential/successful mentorship relationship. This description should include a relevant success story or case study.